Trump says he could cancel meeting with Russian President because of Russia’s maritime clash with Ukraine. 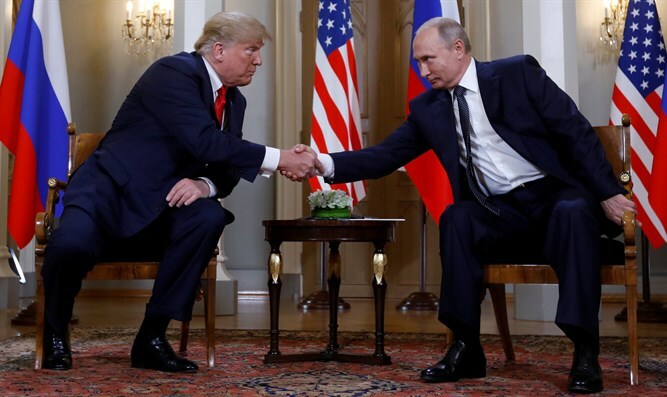 US President Donald Trump on Tuesday threatened to cancel his scheduled meeting with Russian President Vladimir Putin at a global summit later this week because of Russia’s maritime clash with Ukraine earlier this week. Trump and Putin are scheduled to meet at the G-20 summit in Buenos Aires. In an interview with The Washington Post, Trump said he was awaiting a “full report” from his national security team about Russia’s capture of three Ukrainian naval ships and their crews in the Black Sea on Sunday. Russia’s FSB security service said that its border patrol boats had seized the Ukrainian naval vessels in the Black Sea and used weapons to force them to stop, claiming it had been forced to act because the ships had illegally entered its territorial waters, attempted illegal actions, and ignored warnings to stop while maneuvering dangerously. The incident is threatening to reignite the tensions between Ukraine and Russia, which intensified in 2014 when Russia occupied and annexed the Crimean Peninsula from Ukraine. On Monday, at a UN Security Council meeting to discuss Sunday’s incident, US Ambassador Nikki Haley urged Russia to "immediately cease its unlawful conduct" in the Black Sea. Ukraine has imposed martial law in parts of the country to fight what its president, Petro Poroshenko, has called "growing aggression" from Moscow.